Scottish midfielder Martin Scott has joined Indian I-League club Salgaocar after leaving Raith Rovers. The club based in Vasco, Goa, have also extended 31-year-old former Falkirk and Cheltenham Town striker Darryl Duffy's contract for a third season. A third Scot, 48-year-old former Dundee United man Malky Thomson, was appointed head coach last month. Scott, 29, had offers from clubs in the UK before joining the club who finished seventh in the table last season. Salgaocar are also the defending Goa Professional League champions, having gone through last season's campaign unbeaten. Scott began his career with Livingston and had two spells with Ross County, the second being on loan from Hibernian. 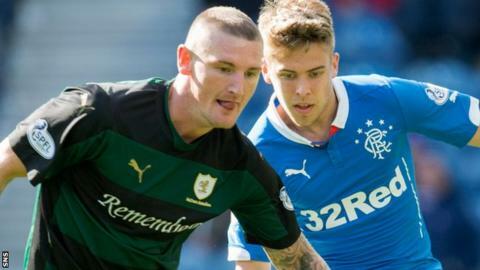 After a return to Livingston, he joined Rovers last season and made 32 appearances for the Scottish Championship side. Duffy was equal top scorer in the I-League in the 2013-14 season and was named foreign player of the year.